Feathers are a fascinating topic to teach your kids about. They have a unique structure that helps make flight possible for birds. Their structure also helps keep birds warm in cold weather, cool in hot weather, and dry in the rain. In this post I will share 4 activities for studying feathers and some online resources about feathers. Save different types of feathers you find in your yard, neighborhood, and while on nature hikes. Compare the different size, shapes, and colors of different feathers. If your really ambitious, try identifying what type of bird they came from and what type of feather (flight, wing, body, or down). You can find more information about types of feathers here. Have your child choose a feather and try sketching it. Add color if you want with colored pencils or pastels. Nature hikes are one of my family's favorite activities. My kids love them, which is great because they're educational and it gets them up and moving. 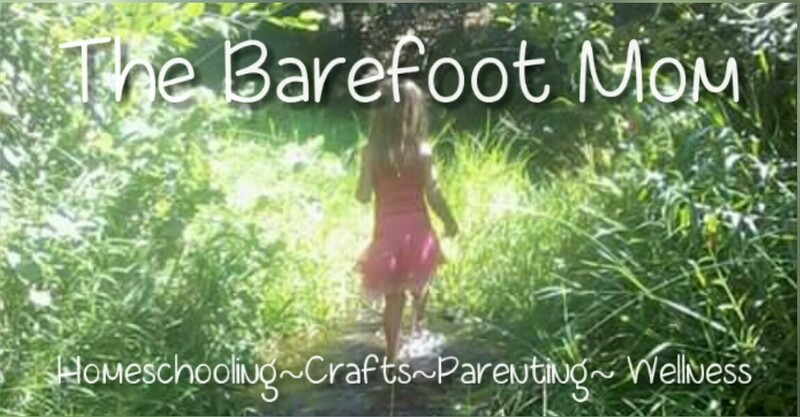 In this post I will share 4 reasons to incorporate nature hikes into your homeschool week. Nature Hikes are a great way to teach your children about the plants and trees that grow in your area. Check your local library or used book stores for a local plant ID book or just do a little online research and learn to identify local plant life. Many wild plants have nutritional and/or medicinal value and some are poisonous so being able to identify them is a great life skill to have. Bring your binoculars and watch for birds, insects, and other animals you might see on your hike. Then go home and do a little research and try to identify the species you saw. One of the things I'm most proud of this homeschool year, is how much my daughter's reading has improved. She moved from reading mostly simple children's picture books and EZ readers to reading whole chapter books! In this post I will share 6 great chapter book series for young girls, all approved by my daughter. The Billie B. Brown series by Sally Rippin was my daughter's very first favorite chapter book series. It's about a spunky little girl named Billie who likes soccer and hanging out with her best friend Jack. The language is pretty simple, the text size is big, and it has lots of cute illustrations, making it a great series for making the transition from picture books to chapter books. The Fairy Ponies series by Zanna Davidson is about a young girl named Holly who discovers a secret world full of magical flying ponies. We use very little pre made curriculum, as I build most of our curriculum myself to tailor suit my kid's individual interests and needs, but there is a really awesome history curriculum and a science kit series that we have really come to love. In this post I will share my top curriculum and science kit picks plus my favorite free online homeschooling resources. We absolutely love the Evan Moor History Pockets because they come with tons of hands on lesson plans. They can be used to supplement another history curriculum that's maybe lacking in the hands on department or as a stand alone curriculum. Each one covers a particular history topic. We recently did a fun engineering activity building towers out of toothpicks and gumdrops. The kids loved it and spent a good portion of our morning building. While watching them, I came up with a simple hands on geometry lesson using the same materials. In this post I will share a fun hands on way to teach geometric shapes and the difference between 2D and 3D shapes. Using the toothpicks as sides and gumdrops to fasten them at the corners, have your child build some of the familiar 2D shapes like a square, a rectangle, a triangle, a trapezoid, and a parallelogram. You can also build some of the 2 D shapes with more sides like pentagons, hexagons, octagons, and decagons. Then try to build some of the 3D shapes like a cube, a rectangular prism, a triangular prism, and a pyramid. We love STEM activities in this house. My oldest is definitely a hands on learner so we try to incorporate a lot of hands on activities into our homeschool days. In this post I will share instructions and resources for a really fun STEM activity we did recently: Aluminum Foil Boats! I also did a quick Google Image search so we could look at pictures of different types and shapes of boats. Once we felt like we had a good understanding of what a boat needs to look like to float, I challenged my kids to design and build their own boats out of aluminum foil. I love art and craft activities that incorporate nature. In this post I will share instructions for a fun art activity we did recently: nature stamping! First have your children search your yard or neighborhood for different leaves, pine needles, shells, pine cones, sticks, and any other pieces of nature you think might be fun to stamp with. Our favorite materials are leaves and sea shells. Apply a very light layer of paint to a leaf or other piece of nature with your paint brush. Carefully stamp onto your paper. You can also set a fresh unpainted leaf on your paper and carefully paint over and around it. Then carefully lift the leaf. Make a cool a design or just cover your page in nature stamps!